I'm trying to base our activities around a particular theme each month, May is our Garden and Nature month and so the activities we've been doing on Friday's are based around Garden and Nature, sometimes we've also thrown so additional ones in over the weekend. 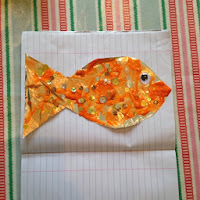 This Friday we've been talking about our pond and the fish that live in the pond. 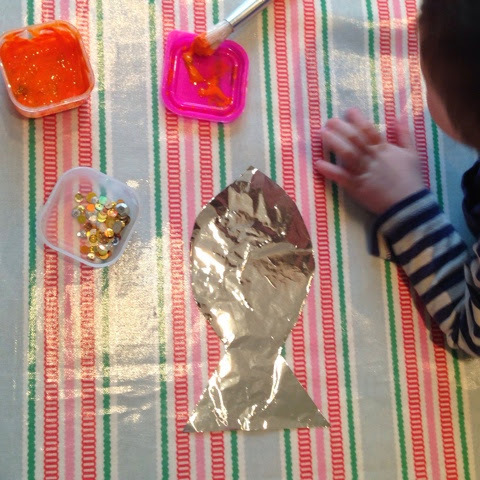 I wanted to do a little goldfish creative activity and so we created a fishy foil painting! 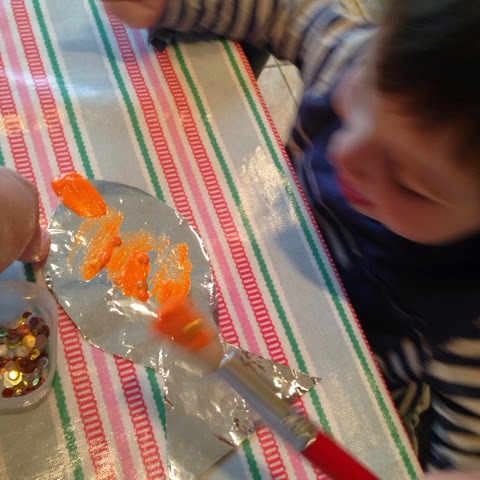 Painting is always a winner with T but I wanted to do something a little different, so I added lots of glitter glue to some orange paint. was - if you know or if it was you, please do let me know so that I can credit you! 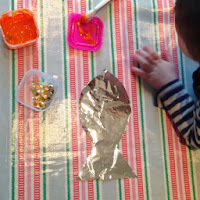 After painting our fish shape, we created our goldfishes scales, I found lots of sequins which we sprinkled over the wet paint, this did seem to stick them to the foil! I'm never quite sure what to do with all of T's artwork. 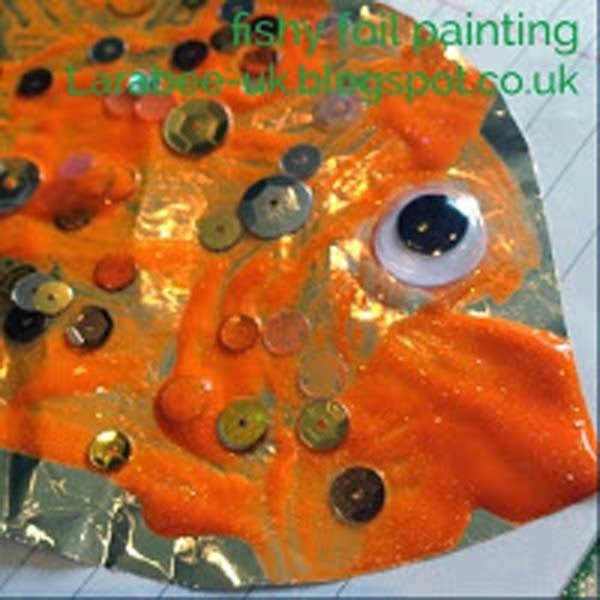 I think it's common for nursery's to have a communication book and I like to add lots of photo's and artwork to ours so that I have a complete view of T's world - not just nursery. We are encouraged by our nursery to add whatever we like to the book, so I've been purposely keeping T's artwork to a size that will fit into our communication book and sticking them in. I love how I can keep everything together and the nursery gets an idea of the things we do at home.